This Tuesday, March 7, 2017 frame grab from video provided by Arab 24 network, shows U.S. forces take up positions on the outskirts of the Syrian town of Manbij. Sen. Joe Manchin (D., W. Va.) said Sunday that he has seen no evidence of collusion “whatsoever” between the Trump campaign and Russian entities. Manchin was interviewed by ABC’s George Stephanopoulos on Sunday morning regarding former FBI director James Comey’s testimony before the Senate Intelligence Committee, which Manchin sits on, which delved into the investigations into the Trump campaign and Russian entities. “Do you agree with the conclusion that the president has reached that there was no evidence of collusion?” Stephanopoulos asked. Manchin went on to praise the special counsel Robert Mueller for his integrity in the Russia investigation and said he would accept Mueller’s conclusion. The post Manchin: We Haven’t Seen Any Evidence of Collusion ‘Whatsoever’ appeared first on Washington Free Beacon. In less than 140 characters, Donald Trump had left the chairman of the Senate foreign relations committee speechless. Senator Bob Corker, a Republican from Tennessee, could barely mask his disbelief when reporters on Capitol Hill informed him of tweets in which Trump accused Qatar, a close US ally, of being a state sponsor of terrorism. “The president?” Corker asked, lowering his register. As we sift through the rubble of the James Comey ­ hearing, I have a confession to make: My descriptions of the former FBI boss as J. Edgar Comey are accurate but incomplete. By his actions, Comey reveals himself to be a fellow traveler with Never Trumpers. His firing brought him out of the shadows and into the open “resistance” to the president. 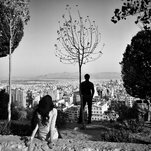 In hindsight, their clash was ­inevitable. Yes, the FBI does enormous good in catching bad guys. But the same could be said of the bureau during the long, sordid tenure of J. Edgar Hoover. The founding G-man, Hoover kept his job because five presidents were afraid to fire him. His insurance was the dirt he secretly collected on them. Comey is cut from the same cloth, but Trump wasn’t afraid to fire him. For his trouble, and for his mistakes in how he did it, Trump faces an investigation that could consume his presidency. And Comey is now a driving force in the scheme to overturn the 2016 election. Comey testified that he leaked a secret memo in hopes a special counsel would be appointed. He hit the jackpot with Robert Mueller, a long associate and mutual admirer. Like many of our government betters, Comey forgot he was a public servant. The arrogance of unaccountable power drips from him like sweat from a racehorse. You see it in his decision to write memos after every meeting with Trump, including the first one. He never did this with previous presidents, but didn’t trust his new boss. Curiously for a man who claims to be nonpartisan, Comey wasn’t bothered nearly as much when a Democratic attorney general tried to meddle in the election by smothering his investigation of Hillary Clinton’s e-mails. Or when the IRS went after conservatives. If Comey didn’t trust a duly elected president, the honorable thing would be to resign. But Comey was not honorable. Instead, he was a sneaky note-taker collecting grievances as insurance for himself. But he didn’t create a national crisis alone. He colluded with the anti-Trump media, which recognized the FBI director as a kindred spirit; he cemented their brotherhood with leaks. All three stories carried the byline of Michael Schmidt, as did others describing intimate details of Comey’s dealings with Trump. Clearly, Schmidt had very, very good sources close to Comey. The Washington Post also had “Justice Department officials” as anonymous sources for a bombshell report saying Attorney General nominee Jeff Sessions failed to disclose two meetings with the Russian ambassador. In calling Comey a “leaker,” Trump may have made the first understatement of his life. My bet is that Comey was a fountain of leaks, and didn’t show interest in prosecuting others because of his own guilt. The scorned avenger’s disclosures softened the ground for his Senate appearance. 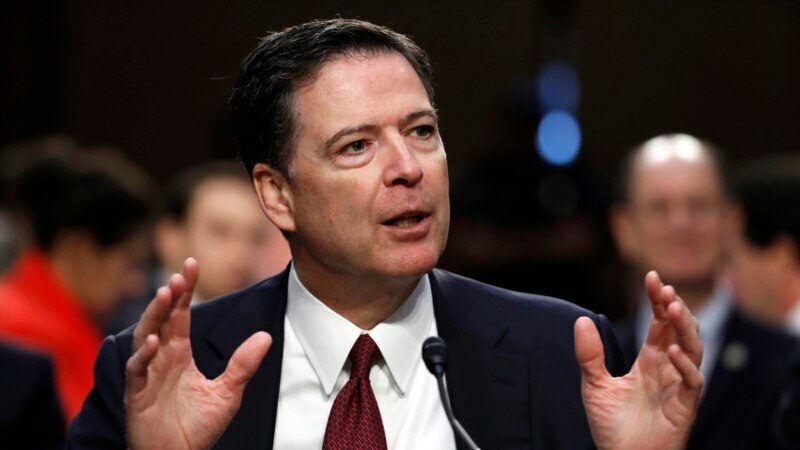 And showing his talent for grabbing headlines, Comey released his prepared testimony a day early, giving him two days of stories attacking the president. The career prosecutor also ratcheted up his accusations, making Trump’s alleged words sound increasingly more sinister. Those are supposedly the words an English king used in 1170 about the Archbishop of Canterbury. Soon, knights loyal to the king murdered Thomas Becket. This is beyond theatrics. Comey’s claim that he was ordered to end the Flynn probe is the heart of the case that Trump obstructed justice. Yet it’s a stretch for several reasons. First, Comey testified as head of the FBI on May 3, long after his key meetings with Trump, that he was never asked to end an investigation for political reasons, saying “It’s not happened in my experience.” Now fired, he’s changed his tune. Second, Comey also believes “I was fired because of the Russia investigation,” which he admits is completely separate from the Flynn probe. Third, Comey testified that Trump himself was never under investigation and never asked him to stop the Russia probe. Trump only asked that Comey announce the president was not being investigated — but Comey repeatedly refused. Those facts undercut Comey’s case, so they are ignored or minimized. No surprise there. Determined to bring down the president, J. Edgar Comey couldn’t let the truth interfere. With an urgent need to stop jihadists from carrying out attacks on nations that gave them freedom, more people are exploring an idea best expressed by David Marshall, a friend. He writes: “Plans to curtail terrorism fail because our enemy doesn’t perceive any consequences for their heinous acts. They are under the ridiculous belief that they will be rewarded in heaven with 72 virgins. By the end of Sunday, the Puerto Rican Day Parade will have come and gone, but the political stench will endure. The decision to “celebrate” a convicted terrorist marks a new low for Mayor Putz. Despite the city being in the terror crosshairs, he never took a stand against the madness led by City Council Speaker Melissa Mark-Viverito, and thus bears ultimate responsibility. Mayoral leadership means many things, but by any definition, de Blasio failed. New York’s vacuous junior senator is starved for attention. Her cheap resort to foul language illustrates why. U.S. Attorney General Jeff Sessions says he has agreed to appear on June 13 before a Senate committee investigating Russia’s interference in the 2016 U.S. presidential election. 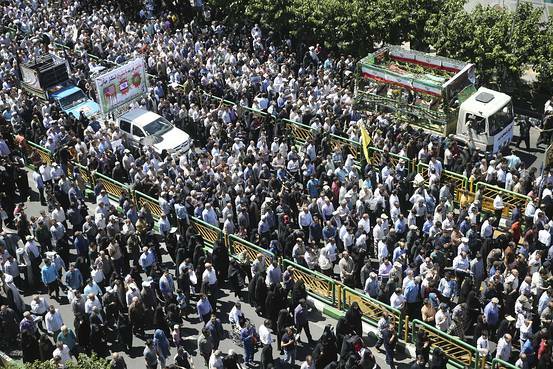 Islamic State attacks on Tehran might signal an end to Iran being exempt from sectarian violence. Intelligence Ministry says 41 people were taken into custody, and a large number of weapons, bomb-making materials and explosives vests were seized, as authorities try to root out the Sunni Muslim extremist group. 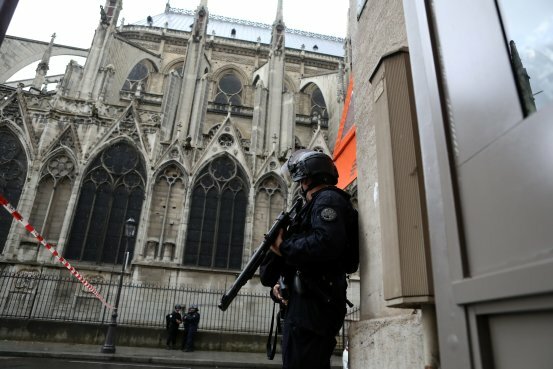 The hammer-wielding man who allegedly attacked police officers patrolling in front of Notre Dame Cathedral described himself as a Sunni Muslim who started radical religious observance about 10 months ago.